Yeah, so some weeks I didn’t have time to draw a lot for the Sunday installment. This actually turned out looking okay, although Andrew is generally better at drawing Peanuts characters than I am. Better liven this Sunday up with some new reader material! I’ve been sitting on this one far too long: Annechen recreated certain members of the Narbonic cast in Second Life and was kind enough to send me screencaps. Look! James Rice, creator of this pinup, was kind enough to provide Director’s Cut commentary on it. Take it away, James! 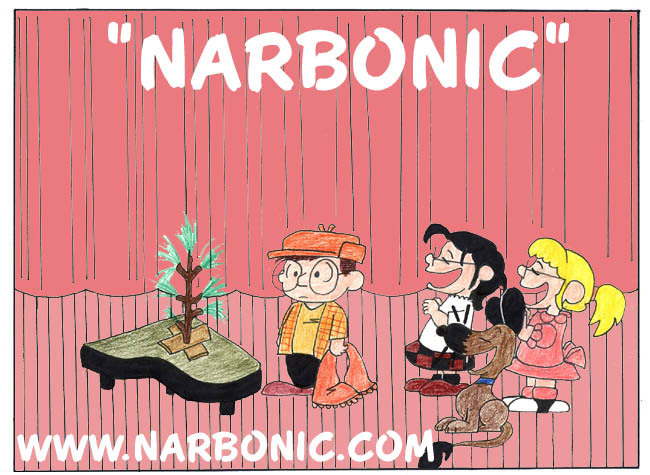 By the time this movie poster came out, I had been reading Narbonic for about three months. I had seen a number of Shaenon’s posters, and had e-mailed back and forth to her a few times. I had had an idea for a Narbonic movie poster for her to do based on the move AI which had come out six months before. Shaenon suggested that I do the poster instead, (at this point I had no idea how lazy she was) *grin*. I was skeptical, but I gave the idea a shot, using a computer instead of hand drawing, and I was surprised at how well it came out. I sent it to Shaenon, who immediately asked if she could run it as a Sunday strip, which was a very pleasant shock. 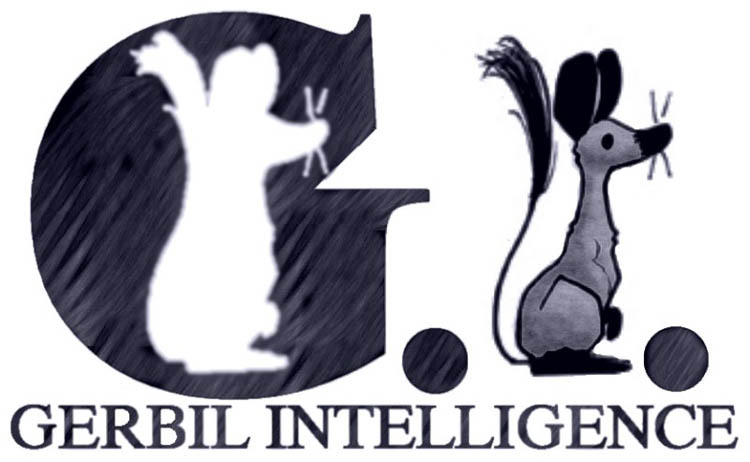 I have no idea why I chose to make the poster “Gerbil Intelligence” instead of the far more obvious “Artie Intelligence”. I assume I had a good reason then, but for the life of me, I can’t fathom what it might have been. Adorable! Love the flying gerbil pic. The background in the lab scenes includes a lot of interesting clips. The black & white console and swirly bit is from the old TV series “The Time Tunnel”. It looks like a Timegate there as well as possibly a screenshot from Quake. The obvious Dalek. I should recognize the flying sled but I can’t remember where is comes from. What have I missed?